S.&T. Group is a multi-trades service and contracting company serving Northern Ontario for 35 years. We provide electrical, plumbing, HVAC and controls, sheet metal and technology solutions for commercial, industrial and mining customers across Ontario. We provide a variety of products to the mining industry including pneumatic systems, pumps, drilling technologies and equipment, blasting machines, and products, as well as laser and alignment tools. Specializing in the fabrication and construction of various components for mining equipment that are provided to many O.E.M. manufacturers. Element Ltd. would also like to introduce the Safeline by Element Ltd. brand, as they are entering the mining technology industry, focusing on sensors and RFID technology. Innovation Lives Here! 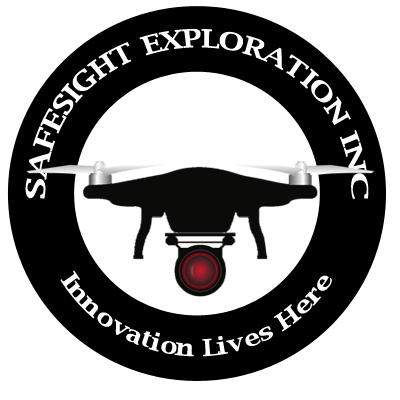 At SafeSight we encourage out-of-the-box thinking to create safer sites and enable digital transformations. We have applied the latest technology in LiDAR, Drone and HD Video to transform mining and create safer more effective delivery. Our solutions provide information that enables better decision making in the drift and in the boardroom. SGS is the global leader in inspection, verification, certification and testing services and has been active in Canada for over 75 years. Our flowsheet development, geometallurgy, pilot plant testing, chemical analysis and laboratory outsourcing staff have earned the respect of the global minerals industry and we are the world’s leading provider of bankable metallurgical services. We offer an extensive range of services that covers exploration, plant design and engineering, production, industrial applications and decommissioning and closure. As your strategic partner, we provide testing, technology, trade services and consulting to help deliver more growth and lean efficiencies, improve your speed to market and reduce risk. SIEMAG TECBERG is the International Leader for hoisting systems design, manufacturing, erection and commissioning. Products include Drum hoists, Koepe hoists, Blair hoists, sheaves, headframes, skips, cages, attachments and support equipment. SIEMAG TECBERG can provide the answer for all its customers hoisting needs. We take best-in-class automation, power, measurement and energy systems and we implement them with expertise and care — so what you get is a solution that puts productivity in your control. Established in 1981, Sling-Choker Mfg. (Timmins) Ltd. has developed into a well-trusted manufacturer and supplier of a wide range of industrial products for the mining, forestry and construction sectors. With community involvement in mind, Sling Choker continues to support Timmins and the surrounding area.